Mosquito control trucks are out spraying parts of the state as part of an effort to prevent the spread of the Zika virus. The Maryland Department of Agriculture deployed crews to spray communities in the Eastern Shore and Southern Maryland this week. More spraying in other parts of the state, including Prince George's County, will begin next week. Maryland currently has 17 cases of the Zika virus. "We're definitely concerned about any cases that may be occurring anywhere in Maryland and in regards to pregnant women, there's definitely the concern because of microcephaly... So, the main concern is protecting everybody that may be exposed," said Angela Crankfield-Edmond, Prince George's County Health Department. Although none of Maryland's Zika cases originated in the state, local mosquitoes can still spread the disease. 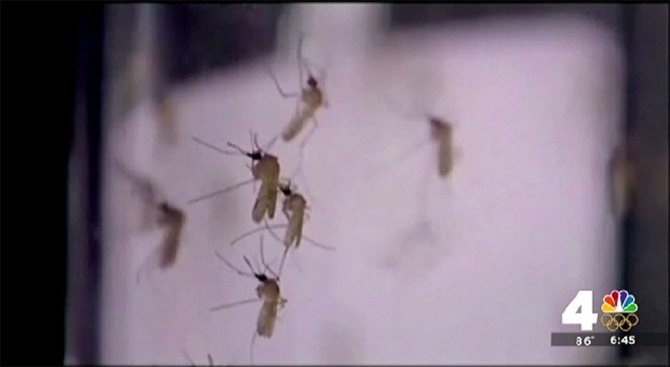 "So, the concern would be that someone comes in from out of the country that is infected with Zika, one of our local mosquitoes bites that individual and then goes and bites somebody that's never traveled," said Brian Prendergast with the Maryland Department of Agriculture. Montgomery County is not part of the state's mosquito spraying effort. Officials said the county has not had significant mosquito problems in recent years. The county has asked to be included in next year's spraying operation. Find when the the Maryland Department of Agriculture is spraying your community by visiting its website.